LANCASTER, California -- At this time last season, Lancaster's Roberto Ramos had three homers. This year, Ramos already has matched his total from all of 2017 with 13. He smacked three homers on April 8 against Modesto, then went yard in four straight games from May 1-4. "It's a good feeling," Ramos said. "A lot of work put in and a little more experience learning how my body works. … Just trying to become a better hitter every day." One thing that's helped Ramos with his hot start to the season is playing in the Mexican Pacific League in his hometown of Hermosillo. "You can't beat that," he said. "Just being at home and enjoying the time with my family, as well, while doing what I like to do, which is playing baseball. It's really amazing. Ramos has spent recent offseasons with the Naranjeros. "It's just a great experience and it's different baseball," he said. "I feel like it's the game played at a whole different level, not so much baseball-wise but just the intensity that the game has over there and how much every game means and every at-bat and pitch by pitch. It's not so much development over there, it's more about winning and just getting it done. "So I think that that's helped me a lot to become better. Plus, getting extra at-bats, but just the fact that you basically learn how to play under pressure." Lancaster manager Fred Ocasio has seen how Ramos has grown from last season after playing in Mexico. "He swings the bat well and studies the game," Ocasio said. "He's a kid that always asks questions. Obviously, playing in Mexico with veteran players, he's always trying to get information and I think that helps him out. "In the winter league, he doesn't get to play a bunch, he plays enough, but just being around those guys that have played for a long time -- they've got some pretty good players and there's some veterans. I'm pretty sure Roberto talks to them and gets some information." With a solid mix of players -- imports from the United States who've played in the Majors and Triple-A as well as veteran Mexican players who've also played internationally -- Ramos doesn't take the athlete's experience for granted. "The quality of players that we get down there is amazing," he said. "It's a lot of experience and a lot of knowledge and I just allow myself to be coached and listen to those guys that went through a lot in baseball. It's kind of like soaking all that in. It's really good for me." One player Ramos admired growing up is Luis Alfonso Garcia, who played in the Minor Leagues and in Japan but was always a solid player in Mexico. Ramos suddenly found himself playing side by side with one of his favorite players and jumped at the opportunity to learn from him. "He's just a guy who knows a lot about the game, knows a lot about hitting," the first baseman said. "I identify myself to him because he's a big power hitter. I've built an amazing relationship with him, not only on the field but off the field as well, and just allowing him to take me through my learning years. "I feel like he's one of the people that have helped me the most." Even now, when Ramos is going through a difficult patch, he calls on Garcia for help -- and Garcia always responds. "He's still my guy," Ramos said. "Every time I need some help or somebody to talk to, he's the guy I call. … I tell him what's been happening and take him through my at-bats and he knows exactly what I'm doing. He's a phone call away and that's awesome to have." Aside from the experience in the Mexican Pacific League, Ramos has continued to work hard and learn about the game and himself. He's eager to learn from Ocasio, JetHaws hitting coach Tom Sutaris and even pitching coach Dave Burba. "He's always looking for information and he's a hard worker," Ocasio said. "He was out here at 12:30 [p.m.] hitting balls in BP [on Wednesday]. You put that combination together and that's why he's having success this year." Before he participates in batting practice with his teammates, Ramos likes to come to the ballpark early, whether it's to work on his hitting or defense. He's determined to continue his growth and apply all of the lessons he learned over the winter and from his coaches. "This is all I do, so I like to be here early, putting in that extra work," Ramos explained, adding the JetHawks staff really helps him. "It's either hitting or fielding, I like to be out here early and get 1-on-1 work and just try to become better in every aspect of the game." Churro mania: Hipolito "Paul" Cerda, aka The Super Churro Man, is a well-known figure at San Jose Giants games. His churros have been deemed "the best churros in the world" by patrons, some of whom attend games just to taste the cinnamon pastries. On June 16, the Giants will rebrand themselves for one night as the San Jose Churros. They'll wear uniforms and caps emblazoned with a new logo -- a churro holding a bat. The first 1,000 fans at Municipal Stadium will receive commemorative "Churro Man" bobbleheads. Cerda will hand deliver free churros to the first 100 fans through the gates. Fans also can bid on the jerseys during an in-game silent auction. 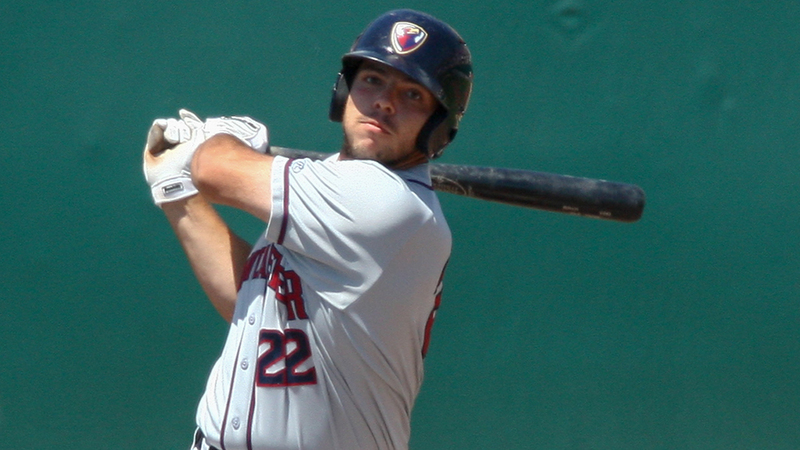 Bombs away: The Modesto Nuts and Stockton Ports combined for 17 homers in the first three games of last week's four-game series. The Nuts hit six in the opener, while the Ports smacked four and added two in the second game. In the third game, the Modesto launched two long balls and Stockton hit three. Prior to the series, the Nuts  and Ports  were the bottom two teams in the league in home runs. No separation: With the end of the first half looming, there's still no clear leader in the South Division. Entering Saturday, Inland Empire was on top with a 27-28 record, while Lancaster, Lake Elsinore and Rancho Cucamonga were one game behind with 26-29 marks. Merisa Jensen is a contributor to MiLB.com. This story was not subject to the approval of the National Association of Professional Baseball Leagues or its clubs.